Logitech designs products that have an everyday place in people's lives, connecting them to the digital experiences they care about. More than 35 years ago, Logitech started connecting people through computers, and now it’s a multi-brand company designing products that bring people together through music, gaming, video and computing. Brands of Logitech include Jaybird, Logitech G and Ultimate Ears. Founded in 1981, and headquartered in Lausanne, Switzerland, Logitech International is a Swiss public company listed on the SIX Swiss Exchange (LOGN) and on the Nasdaq Global Select Market (LOGI). Find Logitech at www.logitech.com, the company blog or @Logitech. Logitech G, a brand of Logitech International, is the global leader in PC gaming gear. Logitech G is dedicated to providing gamers of all levels with industry leading keyboards, mice, headsets, mousepads and simulation products such as wheels and flight sticks - made possible through innovative design, advanced technologies and a deep passion for gaming. 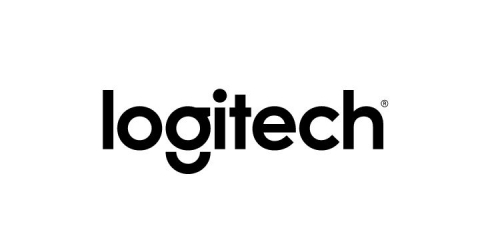 Founded in 1981 and headquartered in Lausanne, Switzerland, Logitech International is a Swiss public company listed on the SIX Swiss Exchange (LOGN) and on the Nasdaq Global Select Market (LOGI). Find Logitech G at www.LogitechG.com, the company blog or @LogitechG. This press release contains forward-looking statements within the meaning of the federal securities laws, including, without limitation, statements regarding: sales, distribution, and market penetration of Logitech G and ASTRO gaming products; the purchase price, closing and timing of the closing of the ASTRO acquisition; long-term growth and the pace of growth of Logitech’s gaming business; and the expected impact on Logitech’s financial results for fiscal year 2018. The forward-looking statements in this release involve risks and uncertainties that could cause Logitech's actual results and events to differ materially from those anticipated in these forward-looking statements, including, without limitation: if our product offerings, marketing activities and investment prioritization decisions do not result in the sales, profitability or profitability growth we expect, or when we expect it; the demand of our customers and our consumers for our products and our ability to accurately forecast it; if we fail to innovate and develop new products in a timely and cost-effective manner for our new and existing product categories; if we do not successfully execute on our growth opportunities or our growth opportunities are more limited than we expect; the effect of pricing, product, marketing and other initiatives by our competitors, and our reaction to them, on our sales, gross margins and profitability; if our products and marketing strategies fail to separate our products from competitors’ products; if we do not fully realize our goals to lower our costs and improve our operating leverage; if there is a deterioration of business and economic conditions in one or more of our sales regions or operating segments, or significant fluctuations in exchange rates; the effect of changes to our effective income tax rates. A detailed discussion of these and other risks and uncertainties that could cause actual results and events to differ materially from such forward-looking statements is included in Logitech's periodic filings with the Securities and Exchange Commission, including our Annual Report on Form 10-K for the fiscal year ended March 31, 2017, available at www.sec.gov, under the caption Risk Factors and elsewhere. Logitech does not undertake any obligation to update any forward-looking statements to reflect new information or events or circumstances occurring after the date of this press release.